That's very apt! Excellent, Alan. This was well seen and an excellent metaphor for an aspect of life. However, technically it suffers from a lack of contrast and some over-exposure. Fixing them would vastly improve this shot. My fault - I copied and processed a whole roll of film at the same Sigma Photo Pro preset - at 13 shots per neg with stitching I was simply in a hurry to see the "proofs" and was aware this one, shot in full sunlight, would likely need a reshoot and reprocess as all the other shots were interior or in full shade. I just hadn't got around to it. I've replaced the original with a better version now, although this well-exposed neg is exactly the sort of thing that challenges digitising and digital display mightily and proves that B&W film still poops all over digital as far as dynamic range goes. 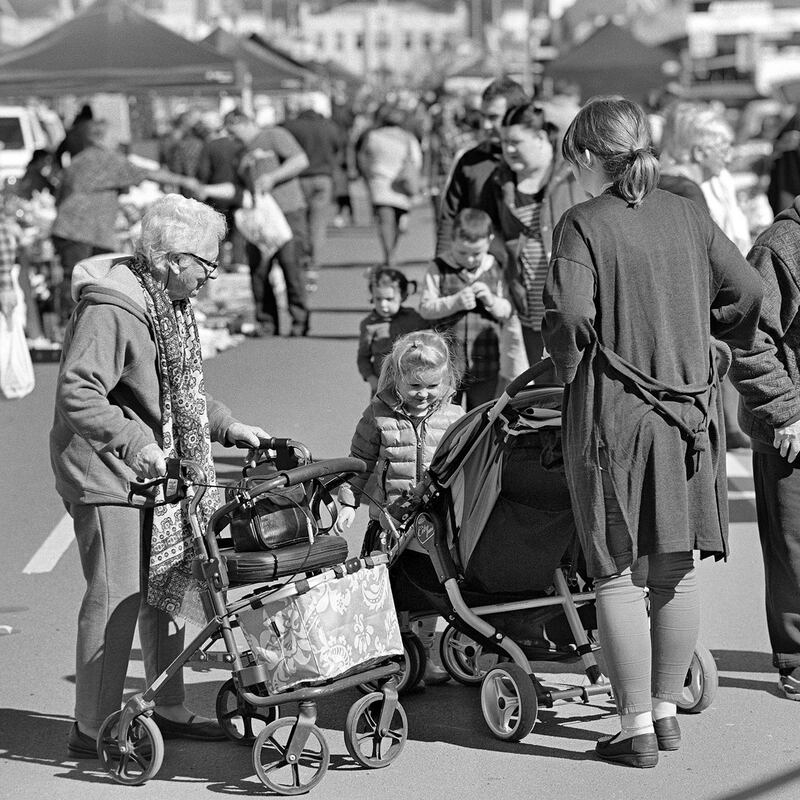 The posted shot still shows blown highlights even though the detail is present and distinct when looking at the neg. The grain is also greatly accentuated in downsizing to forum size, and is barely apparent when looking at the enlarged neg itself. I'll be doing a bromide print as soon as I get that side of the darkroom fully operational again, I think an inkjet print would be a complete waste of time in trying to get a fully detailed, snappy print from this particular image. The wheels turn full circle. Great symbolism in this well-observed shot.